When I go to Sonic it’s for one thing and one thing only: the M&M SONIC Blast (no whipped topping, please. I want to get right to the good stuff). So what do I do when a Sonic ice cream craving hits at 12 am 3 am? I whip up the next best thing. 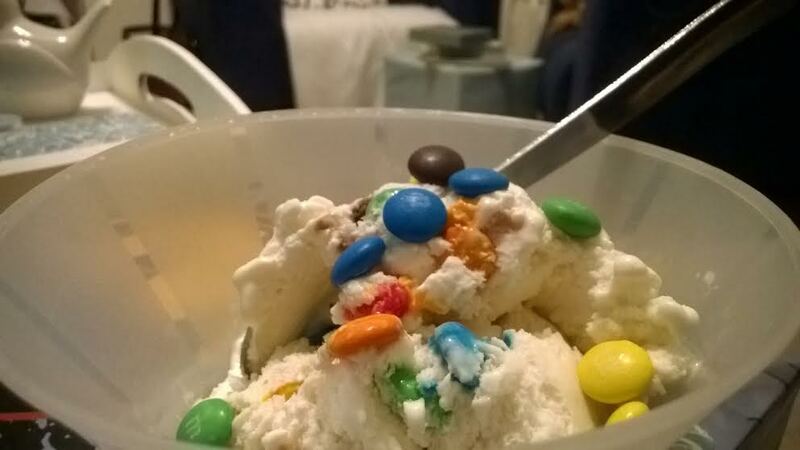 This specific ice cream/M&M combo is amazingly similar in taste to the Sonic Blast original. 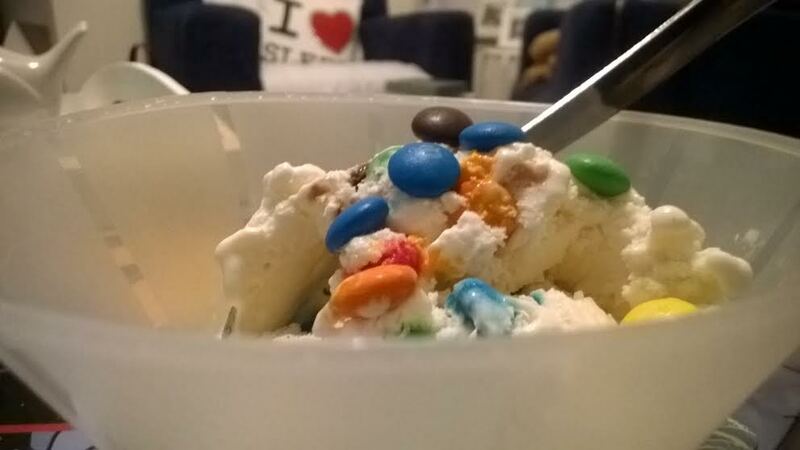 All you need is a tub of Breyers Extra Creamy Vanilla Ice Cream* and a package of M&Ms (plain)*. That’s it! Now combine and go to bed happy. *Do not substitute for one of the thirty other versions of Breyers’s vanilla ice cream. Go with extra creamy. P.S. It tastes even better if you combine and freeze at least one hour before eating. Yes! I love Sonic! Need to try this! Sweet! Let me know what you think!